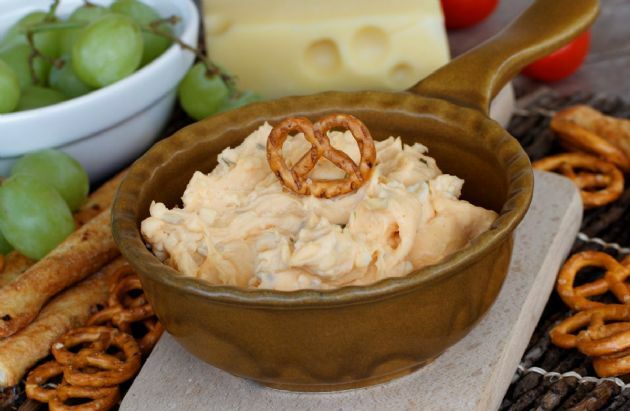 A great dip for crackers and pretzels, with only four ingredients, you'll love this cheesy side dish. A great dip for crackers and pretzels, with only four ingredients, you'll love this cheesy side dish. Thoroughly mix the cream cheese, beer and dressing mix in a medium bowl, then fold in the shredded cheese. Refrigerate at least one hour for best taste. Makes 60 servings! You can also serve it heated.